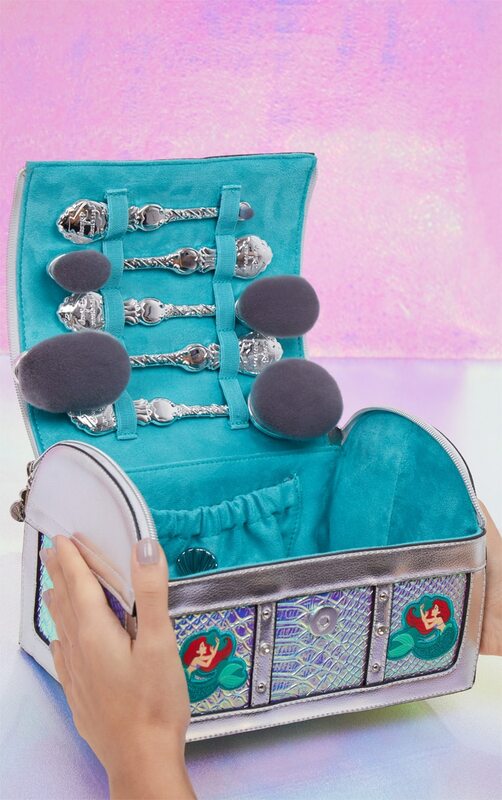 The Ariel chest bag and dinglehopper set is the most mermazing place to store all your whozits, whatzits and thingamabobs. 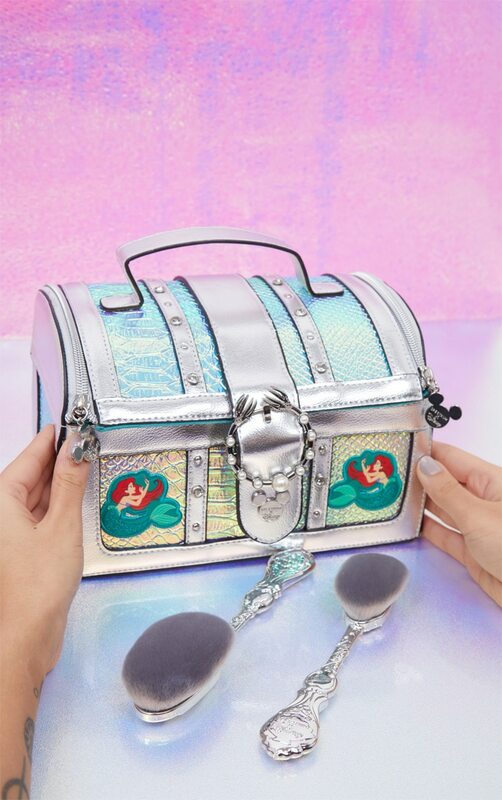 Finished in holographic vegan leather with gem stud detailing and a mini dinglehopper clasp, make sure this bag takes pride of place in your cavern of wonders. The velvety synthetic fibres of the dinglehopper brushes glide across the contours of the face for precise and professional application. 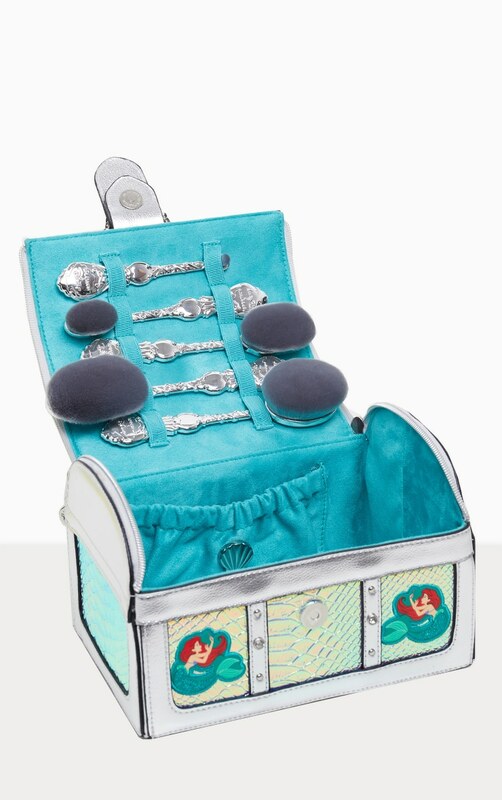 Each of our five dinglehoppers have been lovingly designed so tools to create beautiful makeup can be part of your world. Foundation: Apply and blend foundation easily with this super soft, large headed brush. The round shape and dense bristles are designed for a full but even coverage. Contour: This contour brush is a must for anyone who wants to define the face, for a Insta ready sculpted look. The slimline shape means you can carve out cheekbones and add definition around the hairline easily. Blush: Add a splash of color to cheeks with this medium size brush. for a subtle flush pat on powder or blend in cream blush to the apples of cheeks. Build until you have your desired effect. Highlight: Achieve a sun kissed glow with the highlighter dinglehopper. The small and slimline head means you can add merbabe worthy shimmer to cheekbones, browbone, nose, cupids bow, or wherever you want to shine. Concealer: Conceal signs of swimming against the tide all day with the small rounded concealer brush. The compact head allows you to apply product around the eyes delicately, we don't want mermaid tears.